Such a small room… with so much potential for things to go wrong! Only a small percentage of yachts are fortunate enough (or large enough) to hire professionally trained dedicated laundry personnel… leaving untrained crew in charge much of the time. But, you might ask, how complicated can laundry possibly be? Let’s start with garment labels. 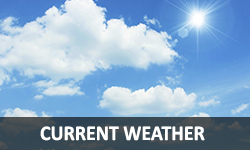 An image of a tub full of water with “50” on it or a dryer or iron with an X through it are easy enough to understand. But what about all those combinations of dots, lines, triangles and circles? 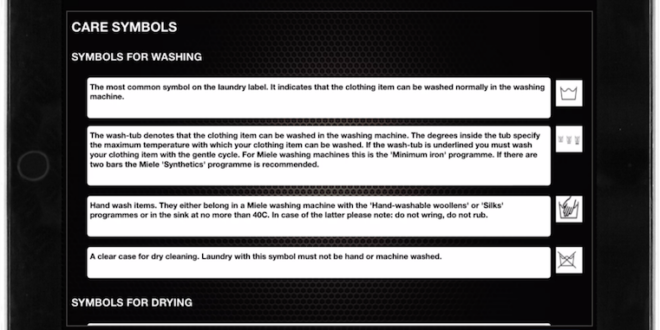 Twenty years of crewing and I can honestly say that although I diligently read clothing labels and was very careful about how I laundered guest items, I never knew what some of those symbols meant. Then there’s equipment maintenance. It’s important to keep the machines working efficiently and safely, and simple daily procedures help keep the appliances looking Superyacht-worthy and operating well. Nobody wants a fire on board because of dryer lint build-up. But it’s a rare green crew member who’ll come on board armed with this knowledge. It’s common as well for newer crew to process luxury fabrics they’ve never come in contact with before, and no one wants to upset superyacht guests by damaging their expensive garments. Every Chief Steward/ess that has ever had to explain a laundry mishaps to a guest knows just how stressful that situation is. Luckily a Smart Laundry can avoid such unnecessary disasters. 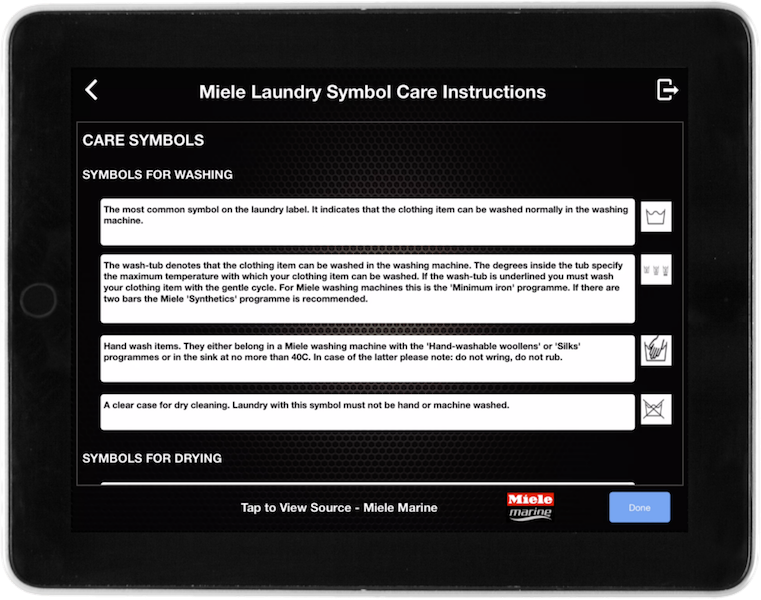 That’s why our Luxe App SOP System includes a “Laundry Care Symbols Chart” with explanations for 95 separate possibilities, plus “Understanding International Laundry Care Symbols” and “Miele Laundry Symbol Care Instructions” – just to be safe! But even armed with this extremely helpful information, we may find ourselves in situations where there are no clear-cut symbols or even any labels at all. Have you ever seen laundry instructions on custom-made cushion covers? A Smart Laundry requires a solution for that so we included manufacturer-specific care instruction for fabrics like Sunbrella and Alcantara. Miele has shared their expertise on stain removal (that’s a gold mine) and care for every type of fabric as well as their appliance care and pressing tips. We all know how to press a pillowslip or napkin, but do you know how to iron a shirt or trousers in the roller iron? I’ve always marveled at how much time our professional laundrymen saved by using the roller iron for garments, and your crew can save that time as well. 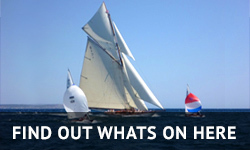 All of that is rounded off with “Laundry Procedures” courtesy of Peter Vogel from Luxury Hospitality Management and once again, the general SOPs you’ve come to love and expect from Superyacht Operating Systems. 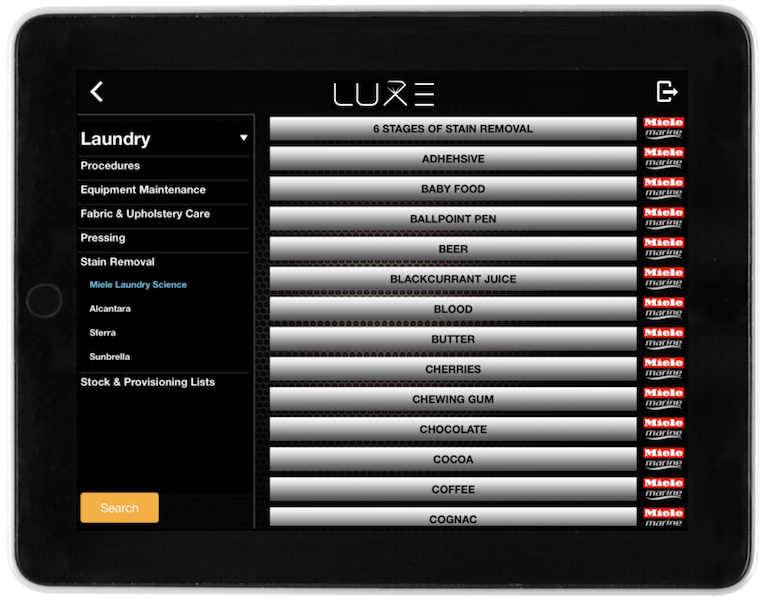 When it comes to the many facets of superyacht laundry, the Luxe App SOP System & Knowledge Centre has you covered! 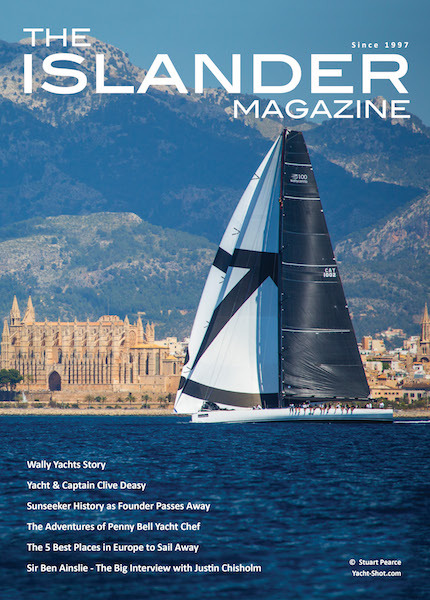 We’ll be featuring our Deck, Galley, Bridge, Manufacturer and New Build Departments in The Islander in the coming months. 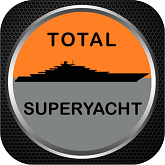 Visit www.SuperyachtOS.com for more information.